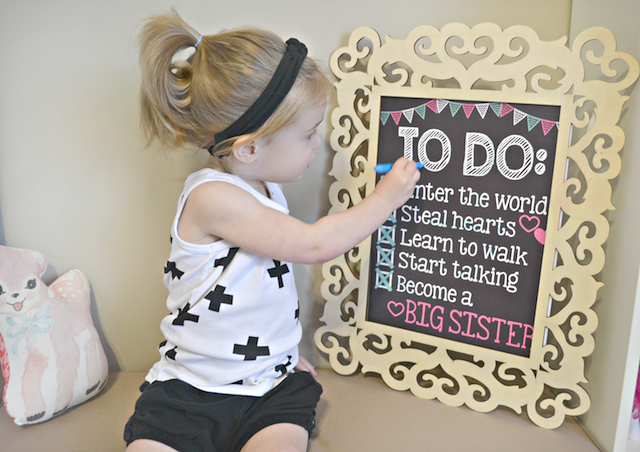 We are happy to announce that we are expecting our second babe this September! 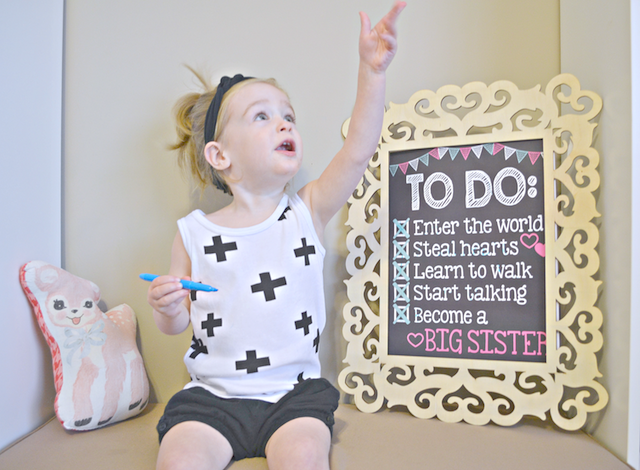 We are over the moon thrilled and can't wait to watch our first baby grow into her big sister role! 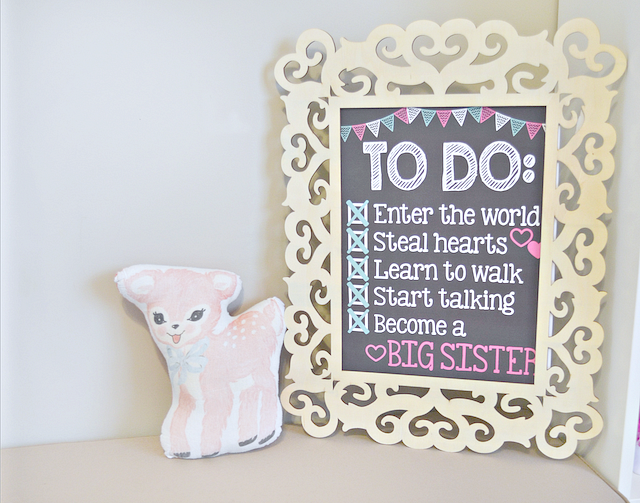 When it came time to share our exciting news, we knew we wanted her to be the one to spill the beans so to Etsy.com I went. 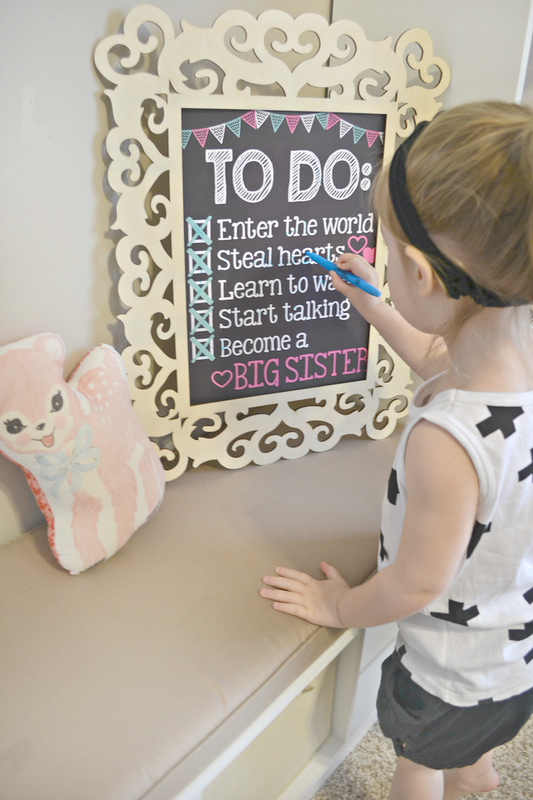 After browsing all the adorable "pregnancy announcement" t-shirts, signs and stationary, I was so excited to stumble upon this sweet little chalkboard sign from Etsy Shop: Personalized Chalk that was designed specifically with a sibling in mind. 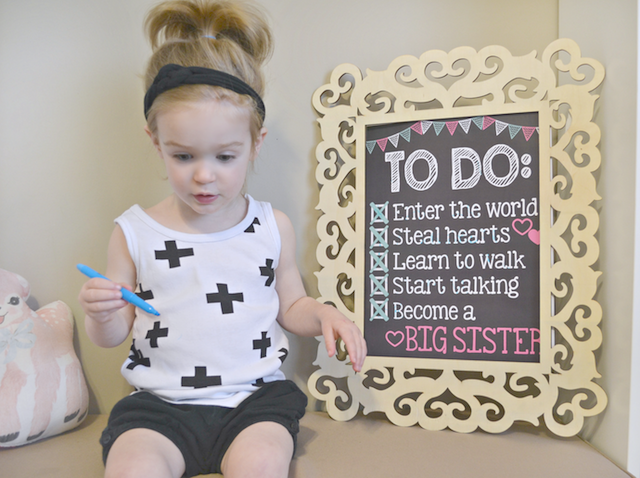 It was the perfect way to announce our pregnancy and Mckenzie's first big sister role to our friends and family! 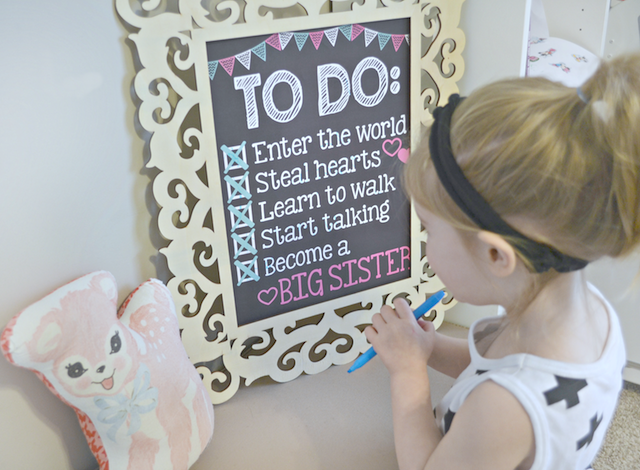 With over 300 chalkboard designs to choose from, you will not have a problem finding one that is just right for you. 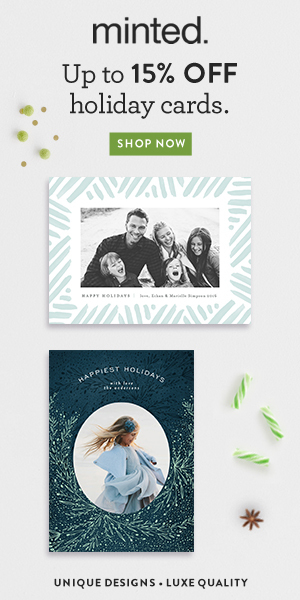 Whether it be for a pregnancy announcement, child birthday stats, wedding signage, etc - each design can be personalized and customized so that it is unique to you! Congrats on the new baby on the way!!!! 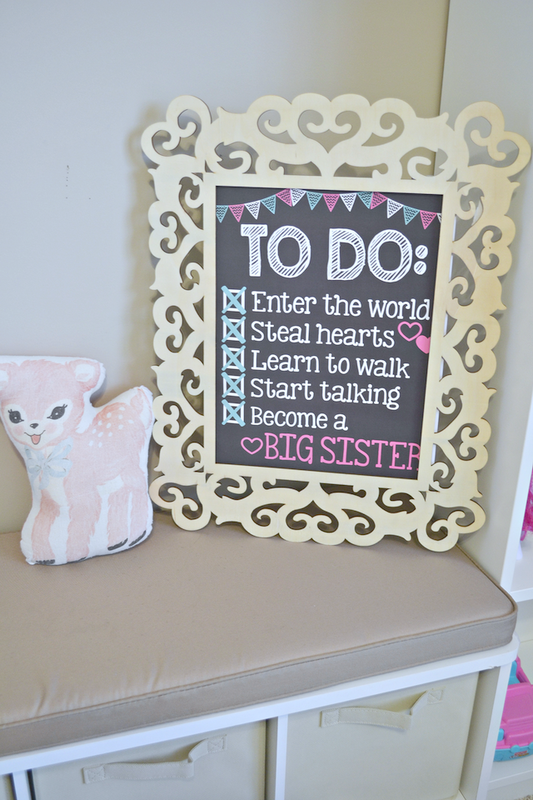 I love that checklist chalkboard idea also! 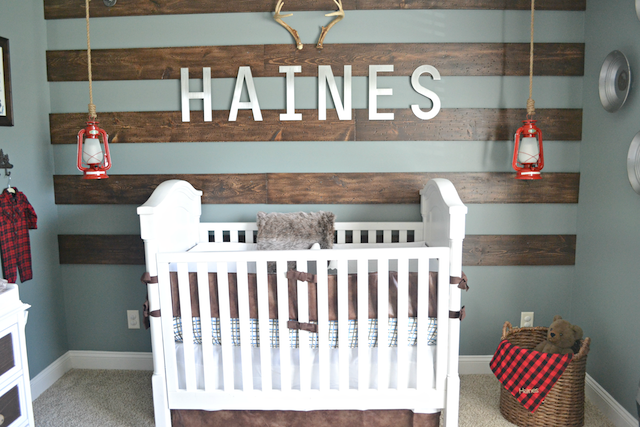 I haven't seen anything like it and I may need to steal this idea when my round 2 comes! Congratulations!! So happy for you guys!